In 1991, Jim founded Pinnacle Engineering, Inc. and he has served as CEO since the company’s inception. Jim’s tireless efforts and leadership have been the primary catalyst for growth and change within Pinnacle Engineering. His experience spans the realm of service offerings. For the past ten plus years, Jim has focused his practice on the Rail and Infrastructure industries. Jim is a trusted partner that Rail and Industrial clientele call on in times of emergencies that need immediate response. He typically provides the role of “Regulatory Representation” for clients during Emergency Response services. In this role, Jim is called upon to provide an immediate assessment of the environmental impacts of the situation and to relate this assessment to corporate management and to the regulatory community. Jim has responded to over 25 large scale environmental releases in the upper Midwest. Most recently, he served as Lead Engineer for a “Crude Oil to Rail” facility in western ND that is valued at over $50M. Jim has a Bachelor of Science Degree in Mechanical Engineering from the University of Minnesota. 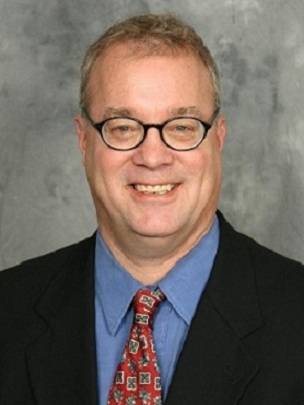 Jeff has 31 years of environmental engineering and consulting, civil engineering, safety management and legal compliance experience offering a unique blend of large corporate EHS management and environmental consulting acumen. Jeff is Pinnacle’s Senior Vice President. He assists with the marketing, strategic planning, and guiding of the Pinnacle practice units, leads the environmental permitting process on large, complex projects, and serves in a senior review capacity for property transfer and contaminated properties projects. Jeff also has been lead auditor for environmental compliance audits for manufacturing and railroad clients, and safety compliance audits for manufacturing clients. He has recently served as project manager for the environmental permitting of two large crude oil transloading facilities in northwestern North Dakota. Pinnacle assisted the Clients in the timely acquisition of the air construction permits and stormwater construction permits to meet the construction schedules. Other services included completion of Stormwater Pollution Prevention Plans (SWPPP), Spill Prevention Control, and Countermeasures Plans (SPCC’s), and Facility Response Plans (FRP). Jeff has a Bachelor of Science in Agricultural Engineering and a Juris Doctorate from the University of Nebraska and is registered as a Civil PE in MN. Steve has over 19 years of experience in environmental and occupational health and safety management experience. This combined experience has been derived through assisting clientele in the broad areas of regulatory compliance and due diligence. Steve is a client manager and also leads the business development efforts for our Industrial and Renewable Fuel groups. Steve is knowledgeable in comprehensive industrial environmental compliance including CAA, CWA, RCRA, EPRCA, SPCC, RMP/PSM, P2, GHG, compliance auditing and self-disclosure, regulatory agency interaction and negotiation, permitting and compliance program development. Steve has a Bachelor of Science Degree in Environmental and Public Health from the University of Wisconsin. Cory has over 25 years of experience of environmental consulting and emergency spill response experience. His responsibilities over the past 20 years have encompassed all aspects of operations management, including business development, contact administration, human resources, financial planning, quality control, and risk management. Cory also specializes in incident command and scene management of large scale derailments and environmental disasters, as well as corporate health and safety compliance, and federal, state and local regulatory agency communication and negotiations. Cory has a Civil Engineering Technology Degree from the Community College of the US Air Force, and attended Winona State University. Keith is a Senior Hydrogeologist/Senior Project Manager with Pinnacle’s Minneapolis office. He has over 26 years of environmental consulting experience working on complex contaminated sites. Keith leads Pinnacle’s soil/groundwater investigation and remediation practice, partnering with our environmental, land development and engineering staff. He expands our talent pool with in-situ expertise and innovative corrective action opportunities to Pinnacle’s growing client base. Keith started his career in mineral exploration, and has gained extensive experience in business management in all aspects of corporate environmental affairs, and has provided environmental consulting for government and private business interests. Keith has a Master of Science in Geology and Geophysics from Baylor University, TX and a Bachelor of Science Degree in Geology from the University of MN, Duluth. Keith is a Registered Geologist in MO and registered as a Professional Geologist in MN and NE. Beth has over 31 years of experience in civil engineering consulting, with a technical focus on landfill design, environmental remediation, and water resources. She has been responsible for permitting and closure of large environmental projects, as well as design and construction oversight of large infrastructure improvement projects, for both public and private sector clients. She has assisted clients in implementing and improving quality management and documentation programs. She has managed large, multi-disciplinary teams on environmental and infrastructure improvement projects throughout the Midwest and across the U.S. Beth has a Bachelor of Science Degree in Civil Engineering from Iowa State University and has completed additional graduate course work in Applied Hydrogeology, Environmental Chemistry, and Environmental Law. Marley is a managing member of Pinnacle’s Industrial and Renewable Fuels Group in our Rochester office. He has been managing services for several corporations’ environmental, health, and safety programs for more than twelve years and has performed a range of compliance assistance operations, customized for industrial operations. The majority of the projects with which Marley has been involved relate to high-end and complex Clean Air Act regulations, and he has extensive experience on all types of air permitting in numerous states. Marley is trained in air computer dispersion modeling and has completed dispersion modeling submissions under Prevention of Significant Deterioration (PSD), National Ambient Air Quality Standards (NAAQS), and Air Emission Risk Analysis (AREA) requirements and situations. Marley continues to work with general industry in developing and implementing corporate environmental programs and plans, and serves as a Pinnacle leader in air quality permitting. Marley has a bachelor of Science Degree in Botany from Iowa State University and a Juris Doctorate from Drake University. With over 10 years of experience in the field of environmental compliance and permitting, Matt specializes in the air quality compliance support to industrial facilities and the renewable fuels industry. Matt is the Midwest Operations Manager out of our Omaha, NE office and prepares various reports, environmental plans and applications, and compliance programs associated with chemical manufacturing projects. Matt’s project experience includes preparing and negotiating air quality construction/operating permit applications, managing stack test events, evaluating and implementing leak detection and repair programs, and providing annual operation and compliance services to the renewable fuel industry. Pinnacle opened an office in North Dakota in 2012 with the hiring of Matt Richardson. Matt is experienced in managing environmental issues, from permitting to compliance and hazardous material handling for railroad and industrial clients. He has performed several large derailment cleanup and remediation projects in his career. Matt leads Pinnacle’s North Dakota Emergency Response team, in addition to managing the Bismarck office. Matt has a Master of Business Administration Degree from Minnesota School of Business and a Bachelor of Science Degree in Biology from Drury University – Missouri. Matt has over 11 years of experience in environmental consulting. His primary area of expertise is in field services involving investigation, cleanup, and emergency response of petroleum contaminated soils and groundwater. Matt’s experience includes: Phase I/II environmental assessment and investigation projects, asbestos, mold inspection, emergency response and remediation. Matt has a Bachelor of Science in Environmental Technology Studies, Technology & Assessment Management from St. Cloud State University.